March 2, 2018 by The Junkie 0 comments on "How to Learn Korean in 5 Minutes (Free Study Tools Inside)"
You’re here because you want to learn Korean in 5 minutes. Don’t worry. There is NOTHING wrong with looking for “easy” ways to learn. Here’s why: the easier things are to do, the more likely we are to do them…and accomplish them. It’s smart to look for easy ways to start. 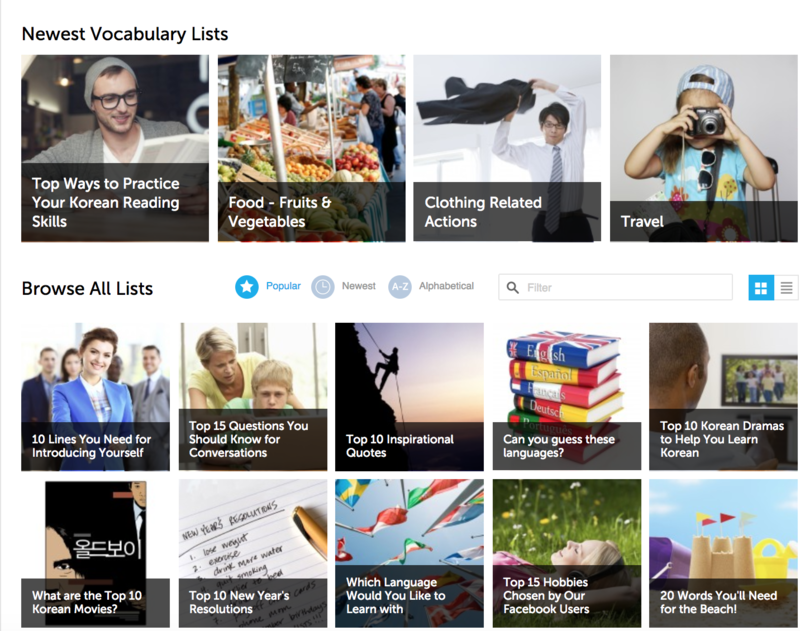 Now, you can’t learn 1,000 Korean words and all of the grammar in 5 minutes. But, yes, you can learn Korean in 5 minutes a day. You don’t need 5 minutes for this. Much less. You can learn a new word in a minute by reading and listening to the pronunciation. How? 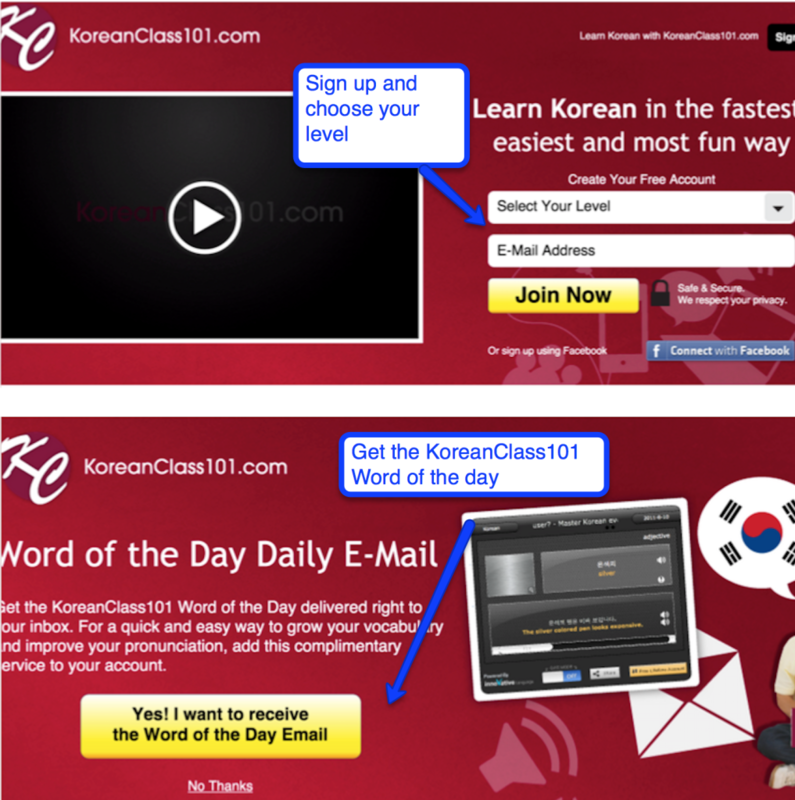 KoreanClass provides free Korean Word of the Day emails. So, every day, you get a new email with your Korean new word and example sentences. Open it. Read it. Done. How you get your Korean words. They will offer the word of the day on the second screen. Everyday, you get a daily dose of Korean lessons. 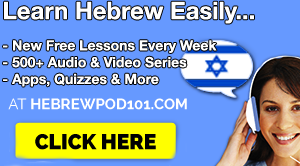 They are quick, mini-lessons that you can finish. And they are different every day. One day you might get words, then grammar, then phrases or culture. You always get something new. You can get this App for both, Android and iOS. You can learn Korean with a 5-minute (or less) lesson. Here are some great examples of quick, easy audio lessons by KoreanClass101, a Korean language learning website. Just press the play button to listen. Here is how you introduce yourself in Korean, based on this lesson. Here are some key phrases from this lesson. Visit the newest lessons section too. 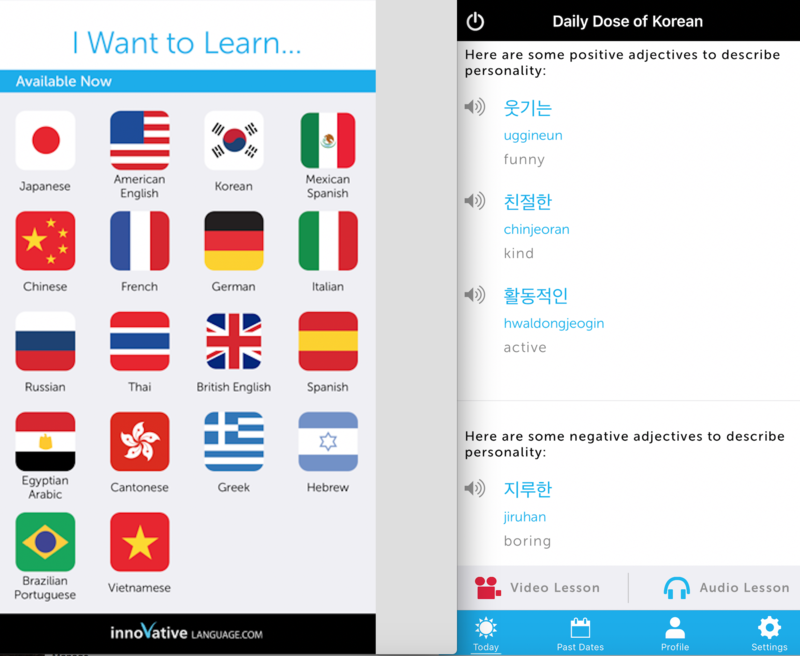 Note: They are a Korean learning program with free and paid options. With them, you get 3-4 new lessons a wee. They are FREE to access. 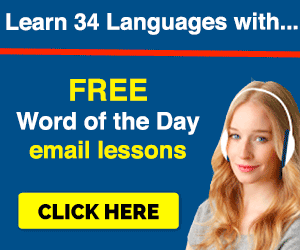 You can also get the Vocab Lessons for free. I mention these below, as well. Want to unlock a bucket-load of Korean word/phrase lessons? Well, you can only find these special lessons here. Sort through them by title to find what you like. And if you want to review them extra fast, use the Slideshow study tool. Learning with the slideshow is easy. You just sit and watch. It’s like learning on autopilot. Click here to get the lessons. Video is another powerful way to learn Korean. And yes, you can find lessons that are around 5 minutes in length. The one below is around 5 minutes long. Press on the video to play and press again to pause it. You can learn with Korean video lessons on YouTube. Duolingo is a free flashcard-type app. It’s not a HUGE, complete learning program. It’s like the Daily Dose: small easy lessons. It won’t make you fluent or speak but it makes learning FUN and easy. When I opened the app… they asked me how much time I wanted to learn Korean a day. Afterwards, you can learn words or phrases with their flashcards and quizzes. Now you know some fun and easy ways to learn Korean in 5 minutes. 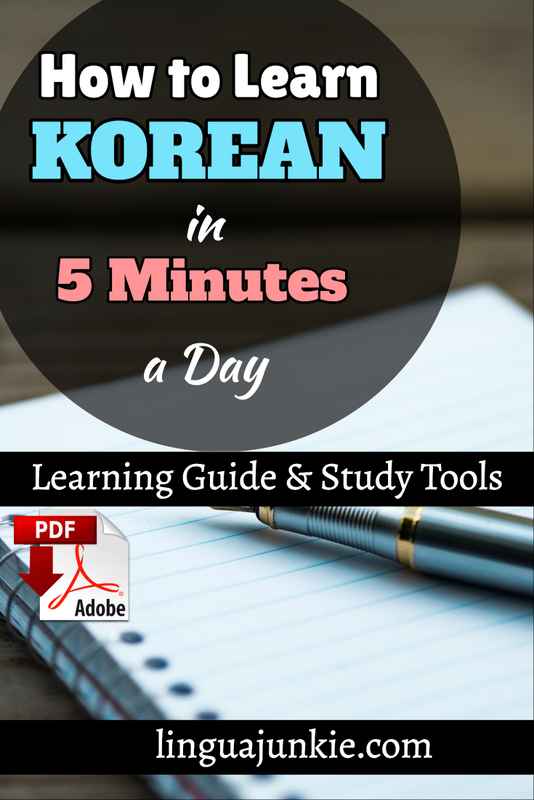 Why should you learn Korean in 5 minutes a day? You should learn 5 minutes a day because it is easy to do. 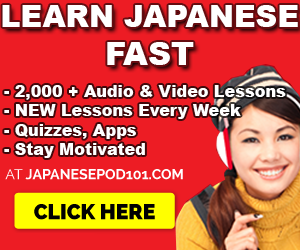 You can easily spend 5 easily minutes and listen to some Korean audio lessons. Do you know why that is so IMPORTANT for SUCCESS? Remember, things that are “easy to do” are “easy to continue” and FINISH. This means that you will continue tomorrow. You will continue the day after. You’ll continue one year from now. That, my friend, is how you will get fluent in Korean. 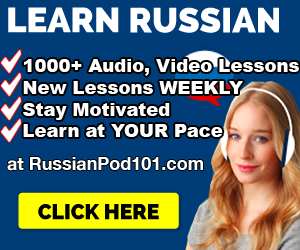 Previous Previous post: How To Say NO in Russian Fluently – Language Lesson.